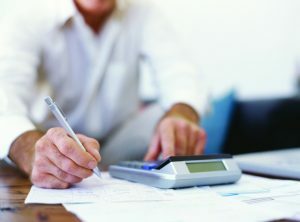 While the deadline to file returns may be several months away, getting a head-start allows men and women the chance to organize their tax documents so they aren’t racing against a deadline come April. The following are a handful of ways to start preparing for your returns now. The dawn of a new calendar year often marks the end of the sometimes hectic holiday season. This time of year marks a return to normalcy for many families, as the kids go back to school and parents return to work. The beginning of January also serves as a great time to start preparing for tax season. While the deadline to file returns may be several months away, getting a head-start allows men and women the chance to organize their tax documents so they aren’t racing against a deadline come April. Find last year’s return. You will need information from last year’s return in order to file this year, so find last year’s return and print it out if you plan to hire a professional to work on your return. Gather dependents’ information. While you might know your own Social Security number by heart, if you have dependents, you’re going to need their information as well. New parents or adults who started serving as their elderly parents’ primary caretakers over the last year will need their kids’ and their folks’ social security numbers. If you do not have these numbers upon filing, your return will likely be delayed and you might even be denied potentially substantial tax credits. Gather your year-end financial statements. If you spent the last year investing, then you will have to pay taxes on any interest earned. Interest earned on the majority of savings accounts is also taxable, so gather all of your year-end financial statements from your assorted accounts in one place. Doing so will make filing your return, whether you do it yourself or work with a professional, go more quickly. Speak with your mortgage lender. Homeowners should receive forms documenting their mortgage interest payments for the last year, as the money paid in interest on your home or homes is tax deductible. If these forms are not received in a timely manner, speak with your lender. You might even be able to download them from your lender’s secure website. Make a list of your charitable contributions. Charitable contributions, no matter how small, are tax deductible. While it’s easiest to maintain a list of all charitable donations you make as the year goes on, if you have not done that, then you can make one now. Look for receipts of all contributions, contacting any charities you donated to if you misplaced any receipts. Book an appointment with your tax preparation specialist now. As April 15 draws closer, tax preparers’ schedules get busier and busier. The earlier you book your appointment, the more likely you are to get a favorable time for that meeting. In addition, if you have gathered all of the information you need by early February, then booking your appointment early means you can file earlier and receive any return you might be eligible for that much quicker.